One truth we all come to realize as parents is the ever-quickening pace our little ones grow and change. The desire to capture these precious moments in time and save them forever is of high priority. What many don’t know is that Liz by Design Photography offers a growth package that includes photography sessions for Newborn, 3 months, 6 months, and 9 months - with a FREE 1- year photo session. · Make sure your little one is fed well, prior to the shoot. · In general, newborns sleep best between 10am – 2pm so this is the best time to schedule these shoots. For more information, including what to bring to your newborn shoot click here. · Mom/Dad and siblings are always welcome in all shoots. This is a great time to get first-interactions with siblings as by 3-months your little one is more likely to be awake during the shoot. · Either ½ studio ½ outside or full studio shots are recommended for the 3-month session because your little one will most likely be laying down for most of the shots. · Keep note of milestones your baby is making. Be sure to mention these with Liz as she can capture them in the shoot. · By six months, your baby may be able to sit up on their own (unless they are premature) they have probably become experts at rolling over, and are laughing and smiling those cheeky grins – all of which make for great photo opportunities. · At 9-months many little ones are crawling pros and may be able to stand with assistance. 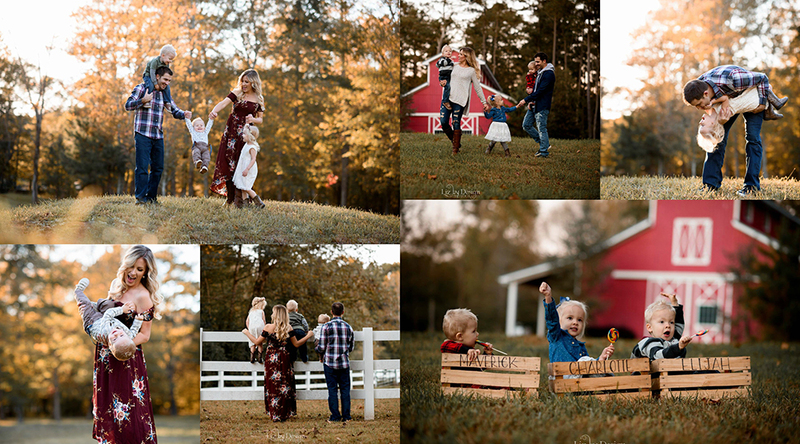 Photos in action with siblings and mom/dad are great for this shoot. · You may want to bring their favorite toy they love to play with for a few of the photos. · Since they are moving so much now, be sure to bring plenty of snacks and a drink for your baby as he may get a little hungry and thirsty even during the session. · It’s that time! The 1-year photo session. It’s becoming very popular to do 1 year photo sessions with a cake smash. · If you are doing a cake smash, make sure your baby has tasted something sweet like icing before. Even though we think everyone* loves sweets, this isn’t always the reaction Liz sees when doing first-time cake eater’s photo shoots. · Be original. Bring something to the 1 year shoot that is special to you and your family. Liz always encourages you to make it your own! It will be more meaningful in the long run. For more ideas, tips and recommendations on Cake smashes, click here. · Simple is better. A banner for the backdrop and maybe one or two props is PLENTY for a great photo shoot. · MAKE IT YOUR OWN. Clients are responsible for all decorations, so when considering them, Liz by Design Photography encourages you to incorporate your family and culture. This is a time for you and your family. Bring in a touch of your personality and make it special to you. · For instance, a client decided that, instead of doing a cake smash, they did a “spaghetti smash”. They had fresh vegetable decorations, baby wore a mustache, and it turned his first spaghetti encounter into a fun, documented experience. · Babies do not like cold hands. If your smash cake was refrigerated, make sure it has had plenty of time to thaw and become more room temp by the time it’s time for your little one to dig in. · Give your baby a taste of something sweet days before their session to acclimate them to sweets. There have been photo shoots of babies who gag and tear up after trying their cake for the first time because the icing is too sweet. · Try to steer clear of Crisco based icings. This kind of icing is very hard to get off your little one. It’s also a good idea to stay away from dark, staining icings. · Mom & Dad - make sure you bring an old t-shirt and pants that you don’t mind getting icing…ALL OVER. Many times, parents get messier than baby! 2. Snacks/food/drinks - cake can make your little one very thirsty. 6. Saline wipes – if baby is fighting a cold - these work fast to get the crusted on goo off. 8. At least two outfits for your little one – to ensure you have a clean one to bring head home in. You may also want to consider a "back-up" outfit if you are planning a certain look for photos. There are times where your sweet little nugget might destroy it before the photo session even starts. Congratulations! You have been blessed with a beautiful baby and now you want the perfect photos to make that memorable moment last forever. It’s important to work with a seasoned photographer who has experience in new born photo shoots. It’s worth every penny when you realize just the right moment has been captured in time and you have it for life. New born photos are best taken within the first week of you being home with your little one. Liz by Design photography is happy to travel to your home or have you come to the studio. In studio allows for posed sessions and Liz by Design provides props. Home photo shoots capture “lifestyle” images – candid photos. Keep your baby awake the hour before the photoshoot is scheduled to begin. Feed your baby well. If you're breastfeeding and your milk hasn't quite come in, consider formula. A full baby is a happy and sleepy baby – best case scenario for a successful photo shoot. Formula will keep your baby full longer, which may allow for longer periods of uninterrupted shooting time. Bring a pacifier if your little one will take one. In general, babies sleep best between 10am and 2pm, so the session will be best scheduled between those hours. Bottled water for you and for your baby [if using formula]. Extra formula – if your using it. Two or three extra outfits for your little one AND you. Mommy’s get peed, pooped, and spit up on. At least 3 burp cloths. If you are having an in-home session, make sure your home is at a comfortable [for baby so warm] temperature. Liz by Design photography has extensive experience in new born photoshoots. If you are ready to book your session, call 678.699.2118 or contact us here. While dressing your entire family in a matching pattern or ensemble sounds like a great idea, it’s advised to do otherwise. It’s better to have a good balance with complimenting colors, patterns, and solids. If everyone is dressed the same, you lose individuals. From a visual standpoint, everyone clashes together. Candid pictures are always a favorite and when do you ever go out of the house all dressed alike in “real life”. Get real-life photos with Liz by Design. Neon colors are a fun choice when going to a rave or concert, but are ill-advised when getting your pictures made. Neon colors tend to shine BRIGHT and give the effect of your face glowing in the photo. Layers are your friend! Thinking of wearing a necklace and scarf but contemplating whether that new jacket would be appropriate? Throw it on in! If in doubt, bring it anyway. You can always count on in-person advice on site – better to have it then not! Everyone likes a good black and white photo, but in this case, it’s in reference to your wardrobe. It’s been an ongoing trend to do the beach photos with the entire family in white and khaki. There is a time and a place for that. Family photos in Georgia fair better with some color variation. Not to say that some black or some white isn’t okay, but, similar to the “matchy-matchy” rule, a bunch of white or a bunch of black can result in a loss in detail, depth, and variation. To get the best results, think of complimentary, subtle – rather than bright and bold - colors for the family to wear. Photoshoots are a work of art. Photographers are artists. Allow Liz by Design Photography to be your biggest asset when getting ready for your family portraits. Ask questions. Get answers. It will pay off in the end! 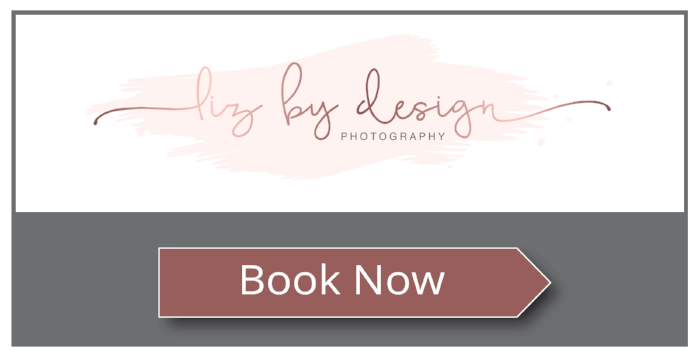 If you are ready to book your next photoshoot, contact Liz by Design HERE. With over thousands of successful shoots, she will create an experience that lasts a lifetime. Visit CLIENT LOVE NOTES to hear real testimonials of Liz by Design’s work.